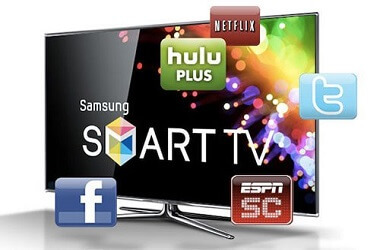 Wanna transfer iTunes videos to play on Samsung smart TV? Here's the complete guide to show you how to convert DRM iTunes M4V to Samsung TV. Do you encounter any errors to play Apple Music videos on your Apple TV? No worry any more, you can try the best solutions from this page to fix it. If you don't have an Apple TV 4K to stream iTunes DRM movies to Hisense TV, you can check out this article to find out the alternative solution to play iTunes videos on Hisense TV. Since iTunes videos are protected by DRM technology, you are not able to play them on Sharp TV directly. But don't worry. Please read on this article to learn how to play iTunes movies on Sharp TV via Apple TV 4K and DRmare M4V Converter. Many media players and TV devices are built with the Android TV system which doesn't support iTunes app, you can find an alternative solution here if you want to play iTunes movie on Android TV. In this post, we have a brief introduce about Toshiba TV and offer an ultimate solution to play iTunes DRM M4V movies on Toshiba 4K TV in a comfortable way. Wanna watch iTunes DRM videos on Philips smart TV? 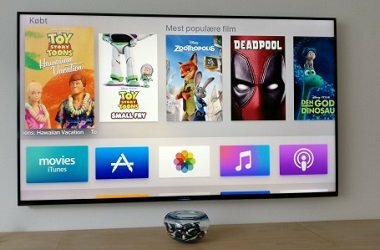 This post introduces the top two best ways to play iTunes movies on Philips TV with the help of Apple TV and DRmare M4V Converter. Have difficulty in playing iTunes DRM videos on Vizio TV? Don't worry. You can follow this step-by-step tutorial to convert iTunes movies and TV shows to Vizio smart TV for watching. If you got a TCL smart TV and want to watch iTunes movies or TV shows via the television, then you can read on this tutorial to find out how to easily bypass DRM from iTunes videos with DRmare M4V Converter. This article covers the reason why we can't play iTunes movies on LG Smart TVs directly while introducing the quick solution to stream iTunes M4V videos to play on LG TV with ease. This tutorial shows you the complete tutorial on removing DRM from iTunes movies and converting iTunes M4V videos to play on Panasonic TV with DRmare M4V Converter. Here in this post, you'll find the complete steps on how to convert DRM-ed iTunes movies to watch on Sony Bravia TV with the help of DRmare M4V to Smart TV Converter. This article covers the instruction on how to play iTunes DRM videos on smart TVs with the Apple devices and how to remove DRM to play iTunes videos on any device freely. Chromecast TVs are not able to support iTunes movies and TV shows directly. So this article tells you some tips to stream iTunes movies and TV shows to Chromecast TV freely.